Are Some Cameroonian Artistes Used Like Tiercé Horses By Canal D’or & Bet MoMo ? When you look at how all this “magu magu” started, you’ll realize that many of the Canal D’or nominees knew this was disrespectful to them as entertainers and at the same time nominees. 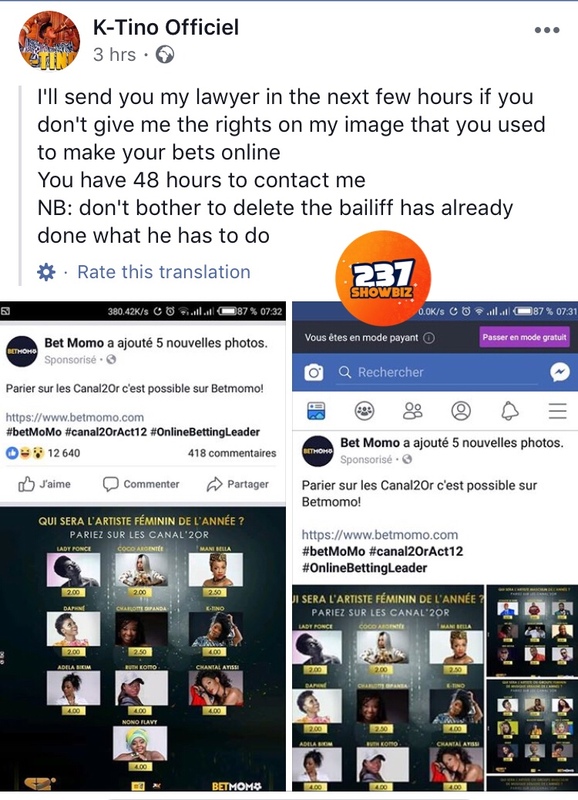 Should we say they were busy carrying out campaign for votes reason being they couldn’t spot such illegal use of their images by betting website “Bet MoMo” ? Why do I put it that way? 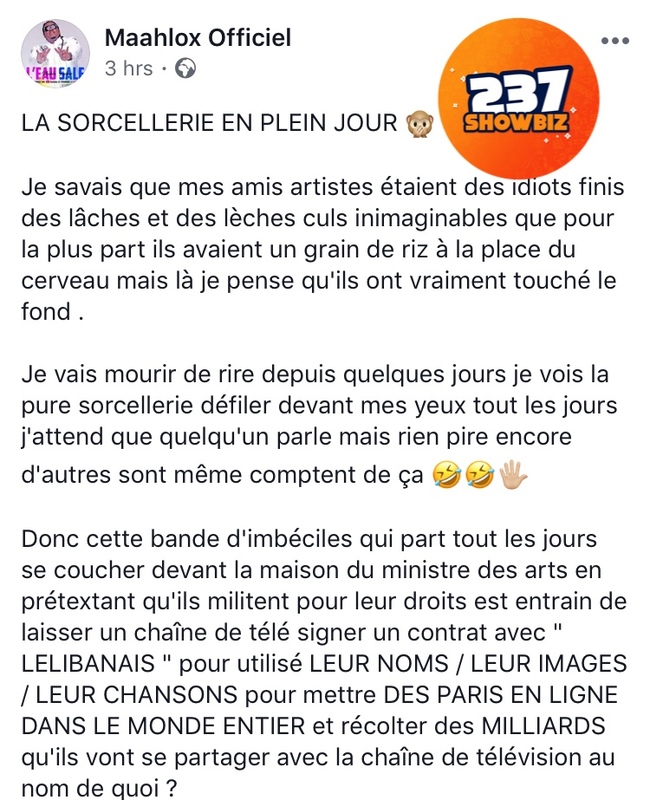 It only took the eyes on someone who wasn’t nominated “Maahlox Le Vibeur” to spot and table what he terms “ La Sorcellerie En Plein Jour” I wouldn’t want to make this write up lengthy so I’ll just explain what’s going on and drop their reactions in “screenshots” below! 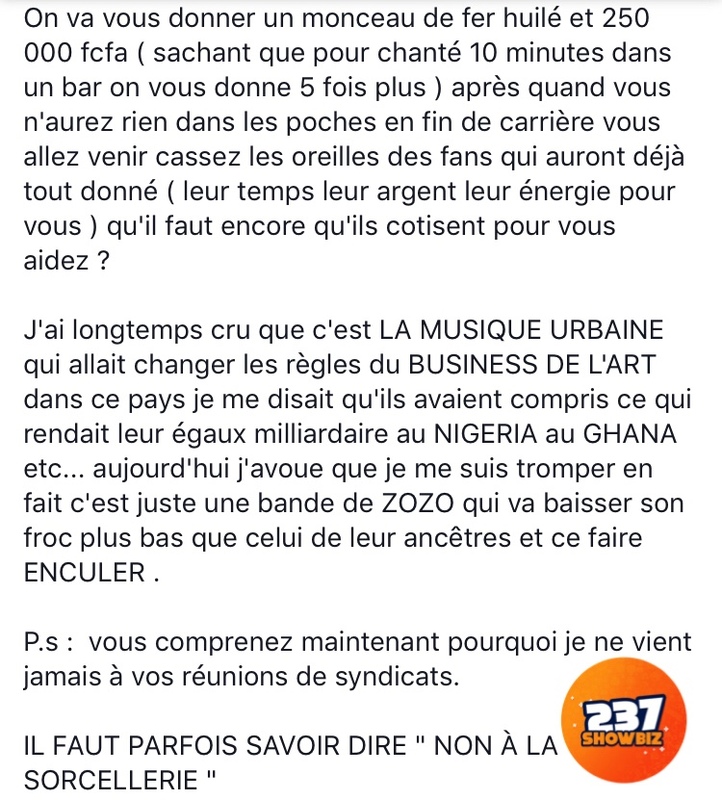 Cameroonian artistes who happen to be nominees for this year’s edition of the Canal D’or such as Mr Leo, Tenor, LOCKO, Jovi, K Tino, Daphne just to name a few are currently being exploited according to Cameroonian rapper Maahlox. These nominees have been placed by Canal D’or in gambling website Bet MoMo and its players currently placing a bet of at least 100 CFA on the “heads” of their favorite artistes whom they think will become victorious and claim the award in their various categories! If you didn’t understand that, this implies that Cameroonian artistes and Canal Dor nominees now can be compar d to the horses we see on PMUC papers! 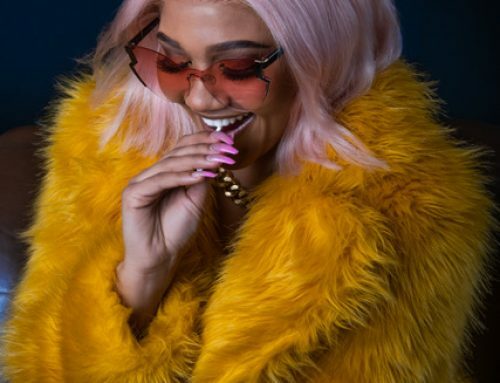 The first person to call this act out is Cameroonian rapper Maahlox Le Vibeur. 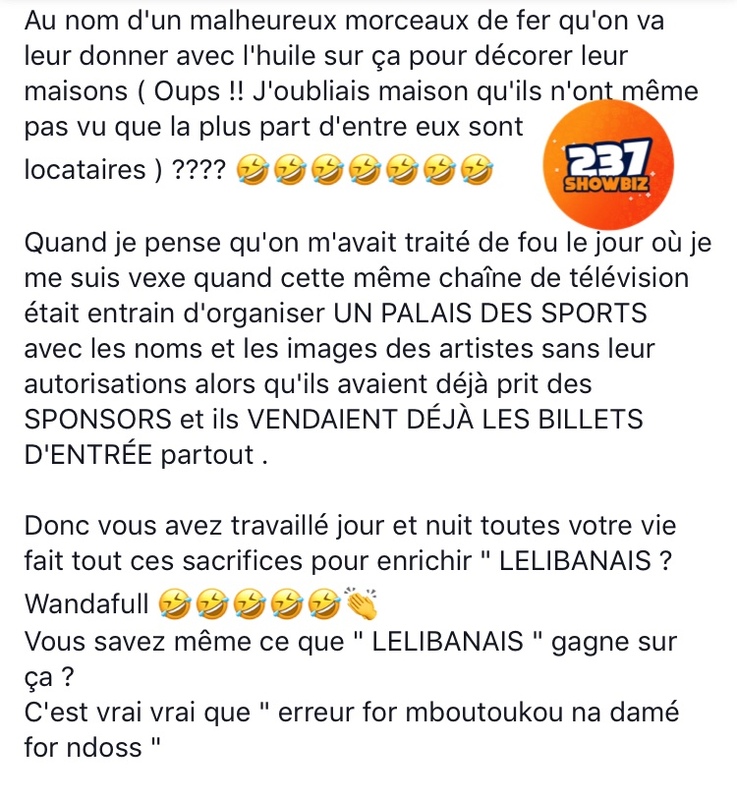 Below is a 237Showbiz Screenshot Copy Of his post! 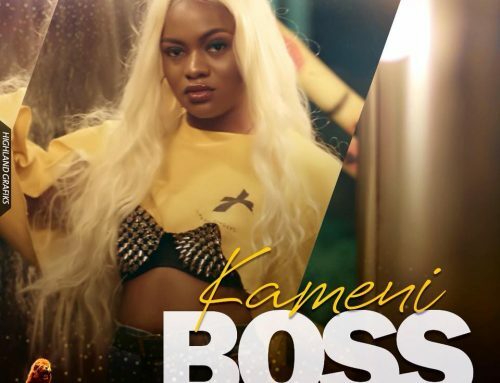 After “Le Vibeur” vibrated the atmosphere with his usual rants, Queen Of Bikutsi K Tino didn’t waste much time as she also took to her Facebook to react to the situation as a nominee and illegal use of her name and image in gambling. Below is a copy of her screenshot. According to her, Bet MoMo & Canal D’or now have scores to settle with her lawyer! 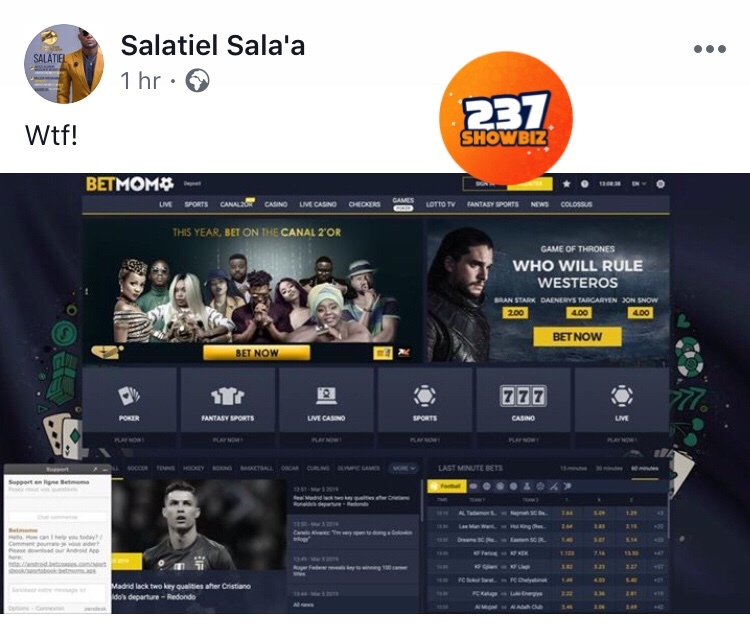 The latest reaction of the day comes from Alpha Better Records Boss Salatiel. I don’t think everyone or just anyone can interpret this. “Wtf!” Below is a screenshot of his own reaction. While waiting to see how this whole issue turns to unfold, reactions from other artistes and Canal D’or nominees, we shall be here to keep you guys posted! Tell us what you think, exposure or exploitation ?